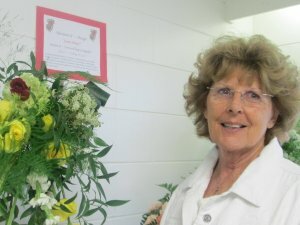 On Saturday, April 6th, Clermont Garden Club member Chickie Broman, floral designer extraordinaire, will be demonstrating her technique of “Leaf Manipulation”. This free event will be held at the Clermont Garden Club, located at 849 West Avenue near downtown Clermont, and begins at 10:00 A.M. It is open to members of the public who are interested in this easy and dramatic design technique. Clermont Garden Club members meet every third Wednesday of the month, (September- May) at the clubhouse, 849 West Avenue, Clermont, Florida 34711. New members and guests are warmly welcomed.